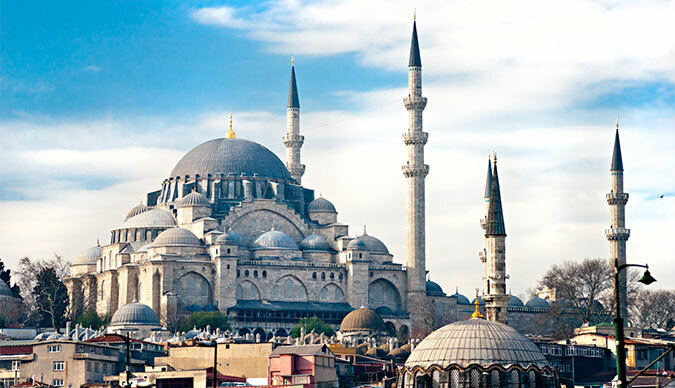 Istanbul is one of the most atmospheric cities in the world but there is so much more to Turkey. The borders of Turkey today belie its history. Ancient civilisations in Europe and the Middle East spread far and wide. It has led to many people not realizing where many of the famous places mentioned in history were actually located. Turkey contains many of them, relics of Roman, Greek and Byzantine Empires as well as the riches left by the Ottoman Empire which ruled vast territories for many centuries until the First World War. Two places stand out as an essential part of any visit to Turkey intended to take in history and culture. Ephesus, the city built by the Greeks in the 10th Century BC and flourished later under the Romans. It is on the Aegean Coast near Selçuk, just south of Izmir, Turkey’s second port. It contained the Temple of Artemis, one of the Seven Wonders of the World. It was destroyed though it was then rebuilt. It has suffered destruction by invaders and earthquakes through the ages but is still a wonder to behold. Close by there is the Basilica of St. John, built by the Roman Emperor Justinian in the 6th Century and the House of the Virgin Mary, considered the last home of the mother of Jesus. Izmir Airport, Adnan Menderes is so close that Ephesus is extremely accessible. While in the area tourists may decide to travel inland about three hours by road to Pamukkale to see the hot springs and travertine terraces at the site of the former Greek City, Hierapolis. It is a World Heritage site, one of 15 in Turkey. The second place that every visitor to Turkey should go is Cappadocia in Central Anatolia plateau over 3,000 feet above sea level. If Neil Armstrong had visited during his lifetime he might have thought he was back on the moon. The nearest airports are Kayseri and Nevşehir. It was formerly part of the Hittite Empire. Eroded volcanic rocks have formed moonlike shapes and caves that were churches as well as homes. There are also underground cities several floors down that were built for security while ventilation shafts provide fresh air to some depth. Turkey is a country of contrasts. Freezing winters at altitude, stunning coastlines and hot summer temperatures particularly in the south and west and a hugely rich history and culture. The Black Sea Coast is in sharp contrast to the Aegean and Mediterranean Coastlines while in the East there are several UNESCO World Heritage sites though some may prefer to avoid the extreme east in the current political climate. Turkey’s road system is very good and coach travel cheap and convenient. There are plenty of domestic flights but Istanbul tends to be the hub so tourists need to fly back to Istanbul then out again to a location in another part of the Country. It means that visitors should plan ahead, deciding what they want to see in advance. Ephesus and Cappadocia top the list but for those with time there is much more to see.